Written by Joshua Doran, VisioStack, Inc. In order to use this information to help guide decision making, it is essential to be able to store, visualize and analyze this data efficiently. Through its RailLinks™ platform, VisioStack utilizes a cloud architecture in order to process and analyze data in a performant manner. Clients can log in to their platform via web browser, much like accessing a social media account with a designated username and password. 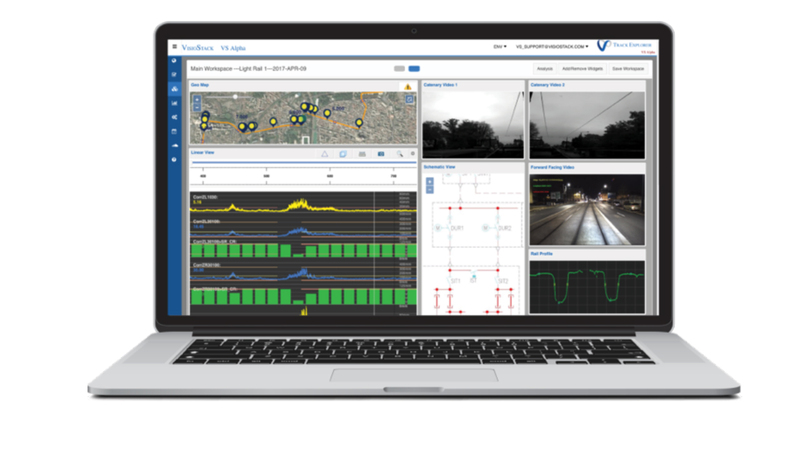 VisioStack is modernizing the distribution of information within the railway industry. Gone are the days of downloading specialized software and making sure your computer meets all the requirements to run a bulky program. Utilizing the cloud and browser access, clients are able to access information quickly, wherever they are located. Whenever more data is captured, it can be automatically sent to the RailLinks™ platform and directed to the correct personnel. VisioStack has created an easy-to-use workspace that allows users to configure data from each infrastructure region and view multiple data streams at once. One condition data source is the geometry of the tracks and is often measured every foot. Another is point clouds, which are features such as the cross-section of the rail or LiDAR cross-sections of the infrastructure that can be represented by two- or three-dimensional graphs. Imagery can also be shown in the workspace, including video taken from a car, a map layer, or drone images. All data in the workspace is synchronized by location, so if an issue is detected on the tracks, it is possible to see the information across all data streams simultaneously. While the data for a geographical region can be more than a terabyte in size, the speed of the workspace allows users to view all information within seconds. This is credited to VisioStack’s development of powerful visualization algorithms that leverage the scalability of the cloud. The primary benefit of visualizing all of this information at once is that it delivers context to make accurate decisions in an efficient manner, which has significant cost savings. By improving the decision capability of both maintainers and capital planning personnel, RailLinks™ is delivering cost savings to major railways in the millions of dollars per year. 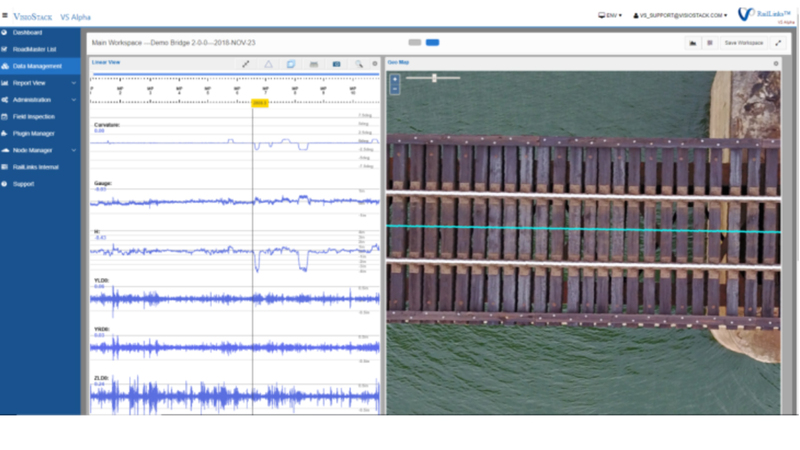 An exciting addition to VisioStack’s software is the ability to use drone imagery to support inspection and planned track maintenance. While the inspection of a single geographical region may include tens of thousands of images, VisioStack developed a model that is able to stitch the images together to give a wholistic view of the track. These images can then be added to the workspace, providing yet another valuable input to help with decision making. Images can be analyzed to help determine the location of missing ties and other important features such as road crossings. While the capabilities of drones are just beginning to be used, VisioStack has prioritized finding valuable ways to integrate UAV data in its robust and scalable software offering. Joshua Doran is a Data Scientist at VisioStack Inc., which has been helping railway companies make better decisions in track inspection and maintenance since 2011. Located in Greenville, S.C., the company has a global reach, having performed services in more than 20 countries and on all continents. 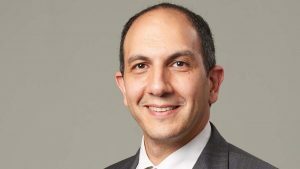 “While ‘Big Data’ has become an oft-used phrase used by many in the tech industry, VisioStack recognizes the value in helping clients capture, analyze and understand the Big Data they collect,” he says. Categories: Analytics, M/W, News Tags: big data, Breaking News, VisioStack Inc.